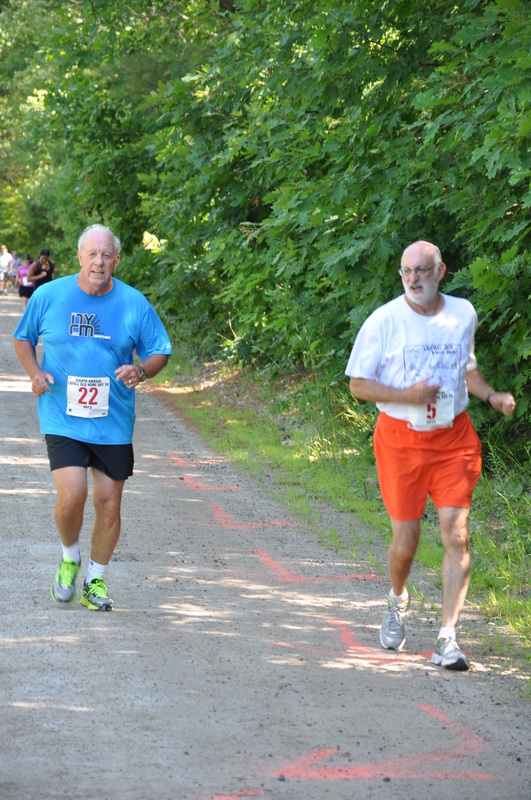 July 18th is the date for the 11th Annual Lovell Old Home Days 5k Run. With the help of Steve Pullan, Fryeburg Academy art teacher, a contest is held each year to draw the winning design for the race’s t-shirt. And every year, the students come through with tremendous drawings, making for a tough selection process. As part of the competition, students are asked to incorporate the themes of Lovell and running into their artwork. This year’s winner is Phoebe Crowe, a Lovell resident who is finishing her junior year at the Academy. She enjoys graphic design and will be taking some pre-college courses this summer at the Maine College of Art. In the first few years of the design competition, I always hesitated to ask for a change here or there. I didn’t want to insult the artist but Mr. Pullan said that it was important for the student to have some real-world experiences where a client rarely is satisfied with the first or second submission. We asked Phoebe to make some minor adjustments to her original design and she did them well. Last year, Phoebe’s design came in second place and I am sure she was disappointed but she displayed a level of determination by trying again. Tenacity pays off! So thanks to Phoebe, this year’s 5k run t-shirt will continue the tradition of having a unique and quality design. Not only does she see her drawing on t-shirts around town but she earned the $100 prize! Remember, only the first 100 registrants are guaranteed a t-shirt! Click here to register on-line. Paper registrations, as well as previous race records, can be downloaded at Lovell5k.com. The Ninth Annual Lovell OHD 5k Run is in the books! 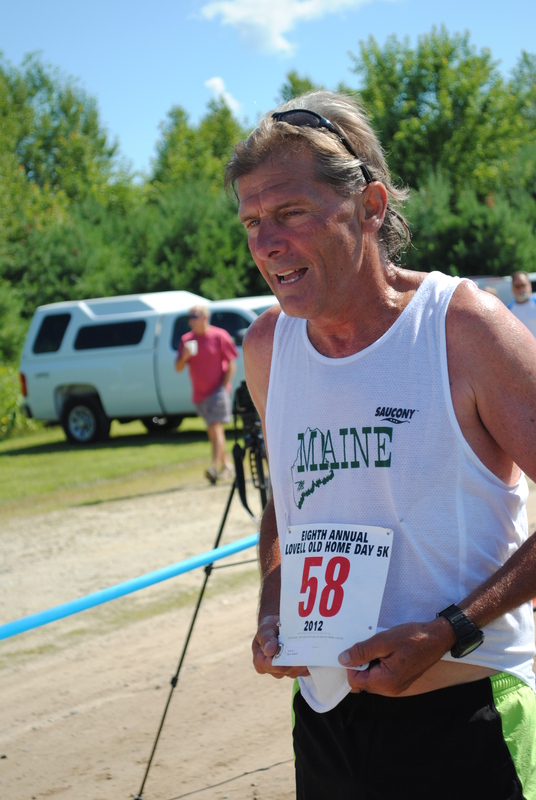 Congratulations to Silas Eastman, 18, of Chatham, NH who won for the third consecutive year with a time of 16:33 and Terry Ballou, 45, from Staten Island, won for the fourth time in five years with a time of 19:18. Both runners received a colorful vase made by Nathan Macomber, glass blower from Conway, NH. 129 runners crossed the finish line. It is always great to see family members running together and the great number of young runners who always participate. Very impressed with family friend Alfie Walker from Fryeburg! He finished 20th overall with a time of 21:39. I'm sure that in a few more years he will be running for the Fryeburg Academy cross-country team. Next year will be the tenth year and I'm looking forward to it. A great big thank you to all of the volunteers along the course and at the finish line as well as the Oxford County Sheriff's Department and the Lovell Volunteer Fire Department. Seems to me that the daily pace has picked-up considerably. The color green is everywhere, camps on the lake are opening, fishing has been good, traffic around town is busier and everyone is looking forward to a busy season. And the Memorial Day weekend traditionally marks the return of Lovell's summer residents. 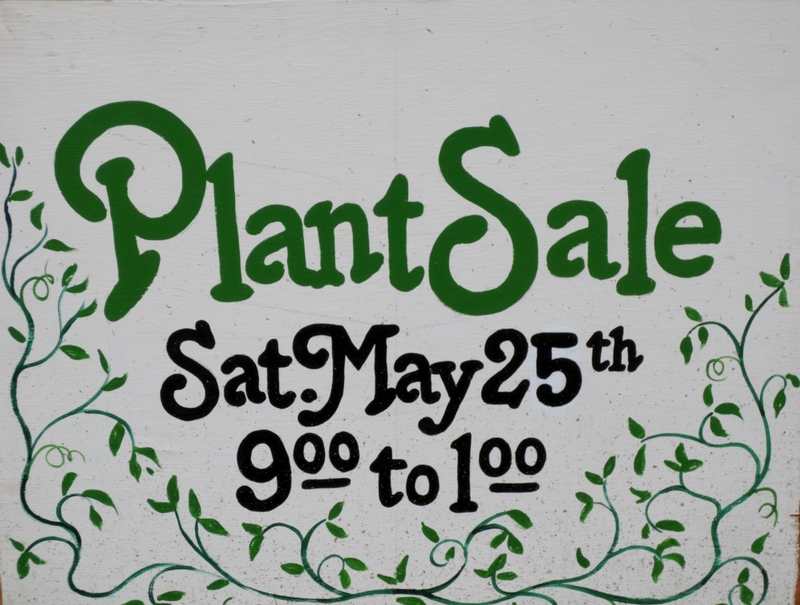 On Saturday, May 25th, the Charlotte Hobbs Memorial Library will be holding its annual Plant Sale. Not only is this an opportunity to purchase some beautiful outdoor plants, all proceeds go directly to the Library. I am real happy with the variety of plants that I purchased last year and look forward to adding more to our garden. Sunday morning, from 7-10 am, is the breakfast for the Stoneham Rescue Service at the Stoneham Rescue Facility on Butters Hill Road. Lots of people attend and you won't go away hungry. Pancakes, eggs, bacon, sausage, french toast and homemade donuts. A great way to start the day and to support the volunteer service as well. Later on Sunday, Fryeburg Academy's Class of 2013 will be graduating. Always a proud day for students and families and there are always plenty of cook-outs and parties to attend. Congratulations to all! It would be great if everyone could attend the Memorial Day Celebration in Lovell at 11 am. It takes place at the Memorial Monument in the Village. 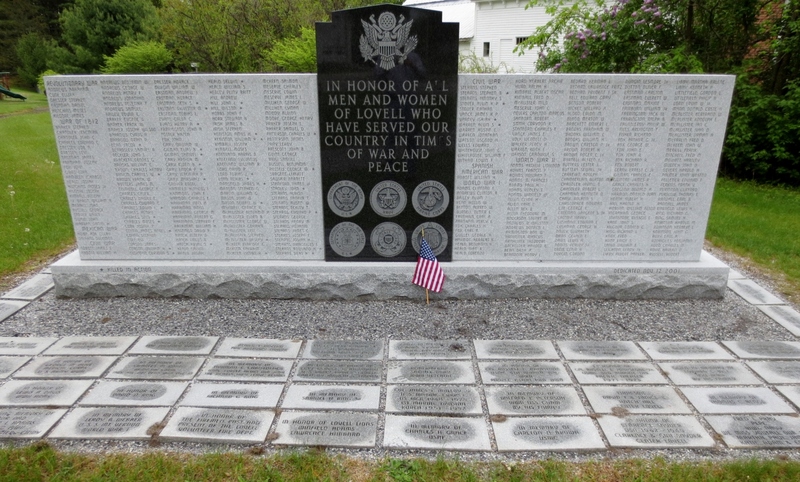 The Fryeburg/Lovell VFW Post No. 6783 conducts the service. It is important to honor all the men and women who have lost their lives defending our great nation. I would also like to acknowledge the Lovell Conservation Committee for the hard work that went into pulling moss and scrubbing clean the stone markers that surround the Memorial. A job well done and a big thank you! Thank you, Stan, for preview of weekend events. Looking good! We all know that this sad return to cold weather will be brief and that warm days are not far away. That means it is time to start thinking about all of the fun activities of summer--fishing, swimming, riding bikes, eating ice cream and running in the Lovell Old Home Days 5k! This year's run is on Saturday, July 20th and the race starts at 9:45 am with the runners leading the parade down Main Street to the Athletic Field. This year's run is the Ninth Annual and it is always a fun event for both participants and spectators. Great awards for the top runners and plenty of random prizes. Remember that the first 100 registrants get a t-shirt designed by a Fryeburg Academy art student, so be sure to sign-up early. On-line registration is at Running4Free.com or you can download an application here. Visit Lovell5k.com for more information, pictures and past times.